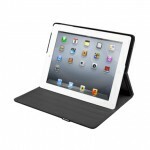 The Switcheasy CoverBuddy is a backing for the iPad that has an Apple Smart Cover attached to it. It literally is a “buddy” for an Smart Cover equipped iPad. It is available from Switcheasy for $24.99 and I will tell you why that would be $24.99 well spent for anyone with a Smart Cover equipped iPad. The product is simple. It’s a backing for a Smart Covered iPad. Despite this over-simplisity, the case can still be reviewed very positively. The CoverBuddy is made out of tough polycarbonate material. The case’s material is very smooth to the touch and almost a gift to hold. The protection of the ports, aside from the port protectors, is excellent and I feel that nothing will end up hitting the port while still leaving enough room to actually put the cable into it. 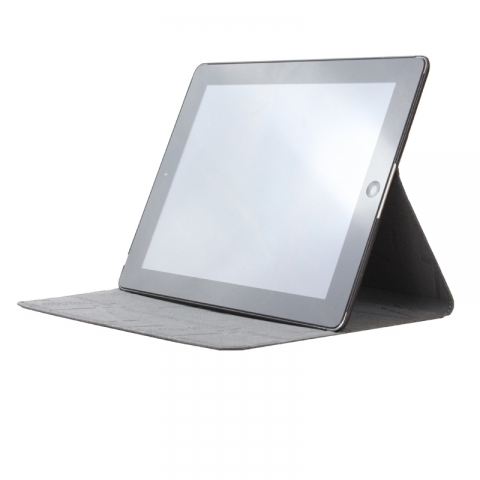 The CoverBuddy has a very light and thin profile and adds virtually no weight or thickness to the iPad. Despite this profile, the SmartCover protects the iPad pretty well. Despite the fact that, by itself, it doesn’t provide enough protection, I would rather use it by itself than some full-fledged cases I have seen in the past. The function of the cover is simple. 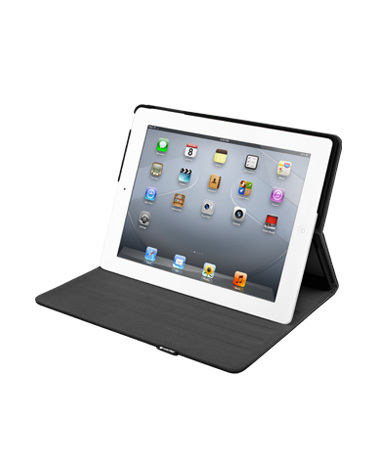 The CoverBuddy provides protection for the back of an iPad that has a Smart Cover attached to it. The case has polycarbonate material which is known to be pretty protective. The backing provides protection for the speaker grill and ports. It lacks a stand but that is taken care of by the Smart Cover so it doesn’t matter. Again, like the other Switcheasy cases I reviewed, it has it’s disadvantages. Like the others, it has the annoying port protectors that are not attached to the case through physical attachment or a pouch. It is my (strong) recommendation to Switcheasy to either attach the port protectors to the case, whether it be physically attached or in a pouch, or abandon the idea altogether. However, despite this disadvantage, the CoverBuddy is still very protective and practical for someone who has an iPad with a Smart Cover. The Switcheasy CoverBuddy is easily one of the best back covers for the iPad. I fear that the need for this product will diminish with the Smart Case bound to take over the Smart Cover completely. 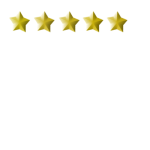 But until then, if you have a Smart Cover or buy one before they are pulled from the shelves, make sure to remember the 5 star reviewed CoverBuddy because it will compliment your Smart Cover well. 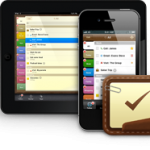 This is one of my most favorite apps for keeping up with the daily tasks. Imagine you find out that you have an appointment in a month from now. I don’t know about you, but for me personally it would be pretty much impossible to remember it without some kind of a memory aid and this is where 2do apps come to play. Using the app is a piece of cake. Open it up> Create new task> Set reminder> Go on with your life. Once the task’s date and time is reached the app will cause your phone to vibrate and push a notification to the screen. From there you can either select “Complete” or “Snooze” which will snooze the reminder like an alarm clock. The main page of the app displays all of the planned tasks. You can put them in different categories and set recurring events (if you take daily medication for example). 2do is able to juggle mutliple overlapping tasks quite well. For example, if you set multiple tasks with reminders on the same date and time it will still do a push notification for each of the tasks that way you don’t lose track of them. 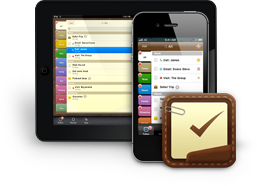 In this regard, the app is ideal for managing many small daily tasks as well as long term reminders such as those that are multiple months ahead. The design is very intuitive and setting up a task can be done within seconds as opposed to perhaps a minute it takes for other apps to do this. The few reasons why I don’t give this app a 5 star rating is because I dislike their support approach. Joining the forum and asking questions is a headache and it seems like they’ve never heard of human verification questions and prefer to manually approve each new member which may take a while. The person in charge of answering messages always appears to be a in a bad mood. Also, if you’re an Android user, the device has a lot of limitations since it has only recently became available for Android devices, so consider yourself lucky if you’re using iPhone. The App is not free, it costs $9.99, but it is definitely worth the small investment. So throw the tiny ribbons you used to tie around your fingers and get yourself the 2do app instead! 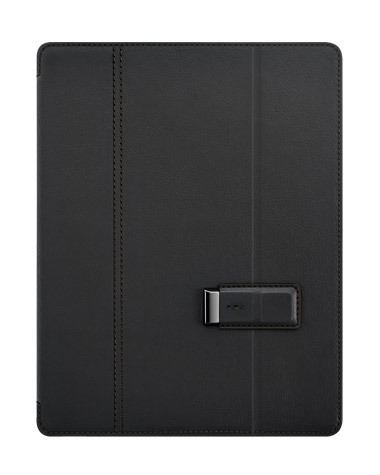 The Switcheasy Pelle case is an iPad 2/3 case that is available directly from Switcheasy for $59.99 direct from the manufacturer. The case is made out of very durable material and has a slide lock for the stand, which in myopinion is a good idea and I’ll explain in a bit. Again, switch easy made the same color error they made with the exec case. As you all know, my name is Joe and I am a guy. They sent me a blueish green case with little “diamonds” on it. Unless I want to have “bling” on my iPad case, this isn’t exactly my choice but I’ll tell you why it might be your choice, that is if they send you a color you like. In short, the answer to that question is mostly yes. The case does very well at doing what it is made to do. It protects the iPad should it fall out of your hands. It has the auto lock/unlock feature that just about every iPad 2/3 case has and while in itself isn’t a thing that will give it a higher prestige than other cases, it is one of those things that if it didn’t have it, it would be a big negative. I am a fan of the lock and unlock of the bifold since when I am not using the stand on the case, I don’t want something dangling down and annoying my hand or flopping around, so it is an appreciated feature. Again, as I mentioned the case does have good protection of the ports. There are a few things I am not pleased with, however. The case lacks protection for the screen when it is open. Therefore, should you drop the iPad while the front cover is open and it lands on the screen face down, the case will provide no protection should it fall face down. Another thing, as with the previous Switcheasy case I reviewed, the exec, the case has the annoying port protectors that aren’t attached nor can be stored in a pouch. The protectors would have worked if they pulled a Ottorbox case idea where the protectors are part of the case. They do provide purpose in everyday use but they are weakly implemented and need to be improved. On a brighter note, the stand on the Pelle is better than the one on the exec case. It was a bit difficult to figure out but once I did, it provided a much better stand than the exec did, the entire iPad is still protected and it provides a better, more ergonomically correct angle. This one isn’t too high and isn’t too low. It also provides an adequate upright stand which the exec didn’t provide as well as the Pelle did. In all, the case does what it’s supposed to do, protect. -When the front cover is open, the screen of the iPad is completely unprotected. This is my biggest issue. As you can see there are a lot more Pros in this case than Cons. The one thing this case does best is provide protection but one thing it does worst at is provide protection (when the front cover is open). The case is very protective and grips the iPad in a death grip, so there is no possibility of it falling out. As a lot of iOS screens are getting damaged these days, it is important for cases to provide protection on the front of it and this case does not do so. However, I will say this. I have not seen a lot of iPads with broken screens but a lot of iPhones and iPods with broken screens. iPads tend not to get screens broken but it is possible. Despite the fact that the front isn’t covered at all when the front cover is open, it is still a really good case. It provides adequate protection when closed (when most falls happen) and provides an adequate stand, something the exec case lacked. The areas around the ports are protected by the case efficiently and that is part of the reason why I see no point in the port protectors. 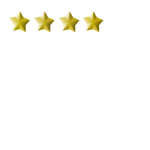 The case has its pros and cons and despite one major con, the major pros block it out mostly and give the case a 4 star rating. 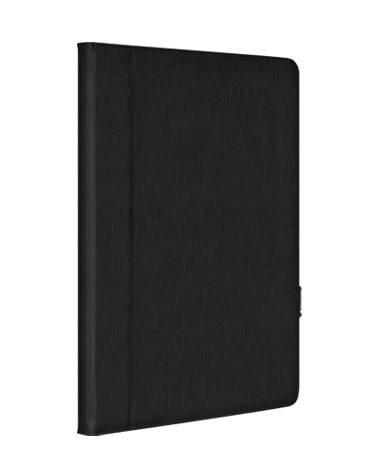 The Switcheasy exec case is an iPad case that is available from Switcheasy for $59.99 directly from the store. The case is available in 5 colors, black, orange, blue, green or pink. The case is made out of very durable materialand offers a stand and protectors for the different ports (we will discuss these in a minute). The case they sent me was pink (not entirely sure why, my name is Joe, how much more obvious could it get?) so I won’t be using it but I’m going to explain why it might be for you, just make sure you get it in the right color. The exec case is made out of very durable polycarbonate and PU material. It is some of the strongest case material on the market making this one very protective case. The case comes in 5 stunning colors (even the pink looks good), black, orange, blue, green, or pink, my favorite being the black one since it matches well with a white iPad. Speaking of iPad, it fits the iPad 2 and the new iPad perfectly, using a very durable snap frame to lock into place. In fact, it grips it so tight, there is a certain way you have to put it on or it won’t even go on. The way to put it on is simple but it definitely is comforting to know this case is as attached to the iPad as an alcoholic is to his bottle. The stand is set up to where the front cover have groves in it, the one side of the iPad comes out and goes into the groves as a stand. It works well as a stand to make the iPad tall, but isn’t very ergonomically correct to type on. The texture on the case is very smooth and is “kind” to the touch. Again, it is very durable and does not bend but yet the case adds little weight. It does add a bit of thickness to it but that’s a tradeoff for one really protective case, perhaps one of the most protective on the market. The form of this case is perfect and should not be changed one bit (with the exception of the stand, I’ll discuss this in a moment). The case is attractive and appeals to the eye while still being made out of the materials to protect it from the worst of falls. As made apparent in the previous paragraph, this case is very protective. It will protect it against falls that most cases would give little protection to. This is the main purpose of the case and it it exceeds it well. Also, as with most iPad cases these days, the case has the auto wake feature which in itself doesn’t make a case better than others but a lack of it certainly makes it worse, so I’m glad this case has it. All the ports and buttons are easily accessible, something that is a little harder to find in cases. However, despite it serving it’s main purposes, the case does has it’s flaws. For one, the port protectors are useful, but only if the iPad will sit and collect dust. The protectors are not attached to the case and that’s a huge flaw because you only have two sets of these things, once you lose them (which is very easy to do since there is no pouch or anywhere to put it), they’re gone and if you want them back you need to buy more. This, in my opinion, was a big flaw. The protectors, in order to prove useful, should have been attached to the case, just are the protectors are for the Otterbox cases. The protectors on those is probably what the company was striving for but missed it. In fact, I’d rather them not give them to you at all. Also, another thing was the stand. While it was a positive in my view that it had one, the case has a flawed stand. To put the iPad in a typing position, it could be done, very easily too, but it was a little low for me. I would have preferred it a bit higher, and this isn’t such a big deal as compared to the “stand tall” stand. In order to have a tall iPad, you will need to take out half the iPad to put into a grove on the front cover of the case. There are a few issues with this. One, you need a flat surface because the front cover needs to be flat. Two, half the iPad is uncovered, should it fall while “standing” you might be in trouble, especially on high surfaces. Three, I found it a bit difficult to get the iPad out of the side to put it into a grove. While this isn’t necessarily a problem with me, people with weak hands won’t be able to get it out to make a stand. I feel that the stand is poorly implemented and needs improvement. I feel that if I were Switcheasy, I would make the front cover go into a slit in the back and make a stand out of that. Of course, I am not reviewing a stand, I’m reviewing a case, and as a case it does very well. However, because the case comes with a stand, it would not be fair not to include it. As you can see the pros outweigh the cons and the case performs its main function of protecting the case but unfortunately doesn’t provide a sufficient stand. Therefore, if you don’t mind it having a not-so-good stand, then this case is perfect for you. If you want a stand, I would look somewhere else but I wouldn’t look far, this company has other great cases that may be for you, I have a few other cases from this company I think you’d really enjoy. As a stand-alone stand, it clearly earns a 5/5 but as a case with a stand I would give it a 4/5 with the power of the protection of the case saving it from a 3.5. 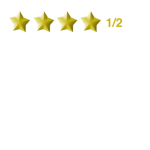 I feel I should rate everything that it comes with so, with that, the score is a 4/5. 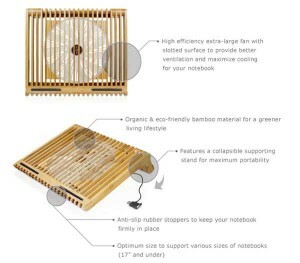 The Macally EcoFan XL Bamboo Cooling Stand is a stand for your laptop that you can put on your desk or lap that will prop your computer up in an ergonomically correct and comfortable position and cool your computer. It is a unique stand indeed, it is made up of bamboo, a very strong replenishing grass that is the fastest growing plant in the world and the most efficient plant on Earth. 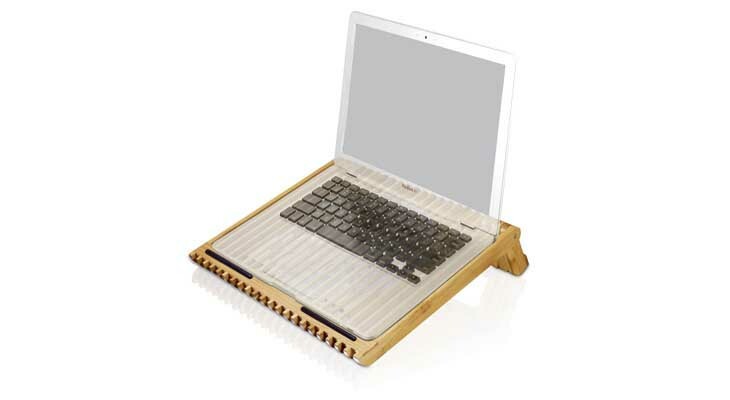 It is the most economical laptop stand I’ve ever seen but does it do it’s job of keeping an ergonomically comfortable position and keeping the laptop cool (because after all it is a fan)? Let’s find out. The stand in terms of aesthetics is mostly outstanding (pun intended). The stand looks incredible. The bamboo gives it a good woody color and texture. The bamboo is very well cut and smoothed out, I have come across a few splintered pieces of bamboo but that is understandable so I isn’t a big deal. The fan is clear and the even aesthetics of the fan looks nice. The fan isn’t all too large and it isn’t clunky looking, it seems as though they paid attention to detail here. Even the rubber pieces that makes sure the computer doesn’t slide off are decent. Another thing is that the stand is practically weightless. 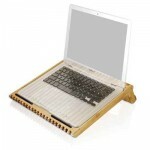 This stand is made out of very strong and durable bamboo, but it is very light, not necessarily thin, but it’s very light. It is very airy and it’s just a wonder how they pulled off such a strong stand without being heavy, but they did it. Everything aesthetically about this case is near perfect, it looks nice, feels nice and polished, the rubber grips are solid pieces (although there is something I don’t like about them that I will mention in a bit), the bamboo protects itself. Now notice I said “almost perfect”, there is one thing aesthetically I’m not a fan of, the USB cable. It isn’t the concept behind the cable (it even has a USB port in it so technically it doesn’t take up a USB port) but it’s the aesthetics of the cable. However as insignificant as it may sound, the way the cable looks is a bit of a drawback. It looks overly tacky and makes the nice MacBook Air tacky. Typically, cables are never a deal for me aesthetically, but I had to point this cable out. It is a bit big and bulky and a weird tint of black, not matching the stand or the MacBook. It is not a cheap cable but it looks it since it doesn’t have an simplistic feel, and that is what the computer and the stand have, so to me it is kind of awkward. Of course, it is a minor thing that I wouldn’t normally mention but the awkwardness of the cable told me to. This won’t count against the final score of the stand since it’s so minimal. All in all, the aesthetics, the “form” of the stand is outstanding and it screams simplicity (minus the cable). This stand is a piece of art. I think I’ll head my way to the modern art museum now..
Well, I’m back from the museum, they already had one on display! Can you believe that? Someone beat me to it! Anyways, now to the function of the stand. When on a desk or the lap, the stand does well to provide an ergonomically comfortable environment so now you won’t catch that new string of carpal tunnel thats going around. The stand doesn’t put it at a degree to high nor too low, it’s just the perfect angle. I appreciate the fact that the stand is collapsable and can be stored away easier because of that. Also, because the stand is collapsible, you can choose to have it more elevated or less elevated, giving you control in the degree of the stand, both degrees are very ergonomically comfortable. I prefer to have the stand collapsed when I am sitting n the couch or a chair and have the stand up when it is on a desk, but ultimately the choice is yours. The fan is also huge plus as not every stand as that. Not only does have a fan, it has a good one so now my Air uses it’s fan less and less and is cooler more and more. Running the same programs, I noticed a huge difference in the heat on top of the MacBook between when it’s on and off the stand. It is a very effective fan. The fan is also virtually silent, which I appreciate because I didn’t trade off hearing my MacBook’s fan to hear this fan so for me, it’s a plus. I did complain about the cable in the last paragraph, but one thing I’m not complaining about is that it doesn’t take up a slot. The cable has a USB slot built in. I believe the USB port is USB 2.0 and my computer is 3.0 but I’m not complaining, I just appreciate the fact that they did that, for me it’s a big plus. There are also a few things that didn’t work for me. The rubber pieces (in the back) slip off easily and, if left on the stand during transport, can easily fall off. The back of the stand does not cover the fan very well and if something presses hard enough against it, that something will stop the fan. Fortunately that something is not your legs when the stand is collapsed, the plastic covering that surrounds the fan is protected by a piece of bamboo when the back legs are collapsed in. Another thing, I am not sure if this stand would be ideal for owners of 17 inch laptops, I question whether it is big enough to hold them. To me, it seems like it does, but I have doubts. Overall, the positives way out weigh the negatives and Macally did a great job with it. -Highly portable, maybe even fit in some large laptop bags, with the laptop as well! As you can see, not only are there more pros, they are more important than the cons. The cons of the stand are nitpick stuff. It took me a lot longer to find the cons than the pros, even though there are more pros. 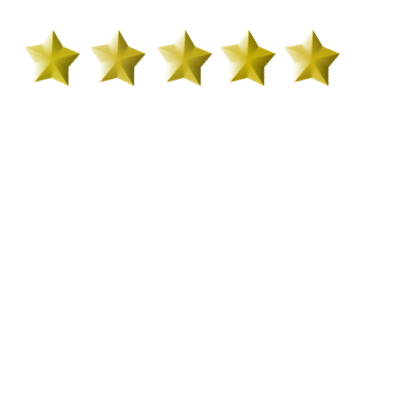 It is always important to find something a company can improve on since this is what reviews are about, informing the public but also informing the company of how their product performs and Macally’s Bamboo Stand performs very well and I’m sure you and the company would like to know that this stand has rightfully earned 5/5 stars. If a product makes me have to look for problems hard enough, it’s an automatic 5/5 because nothing is perfect but something has to get a 5/5 anyways and since this product was so close to perfect that is possible, it was easily earned a 5/5. I can’t imagine using my MacBook without it and I use it and will continue to use it for a long time. That, is the highest commendation I can give. When I can say that I genuinely use it everyday and will continue to use it everyday, that says something. Great job Macally for a great stand. The NYHK Shield case by lioncase is a Smart Case-like case that is thin and light. Direct from lioncase, the case is $42.95. The company is based in China and will also ship it’s product to you from China so it may take a little whileto get it. I actually didn’t wait long at all, not even a week, but it is my belief that it was an expedited shipping. Let’s dive right into the details and see if this case is for you. I have mixed reactions when it comes to the design of this case. For one, I do like the branding that goes with the case. I think putting the New York/Hong Kong city streets on the case was an excellent branding idea. The case is also light and thin, adding almost no weight and thickness to the iPad’s already thin profile. I like the branding on it and I would have liked it better if the rest of the form of the case was as good as the branding. I have a few problems with the design. First, the edges of the case are sharp. I felt like that if the case slipped off my hand, I would get a paper cut (or in this case, a case cut). I felt like the edges would scratch the iPad when putting it in. The part of the case that holds the iPad is made out of cheap plastic. If you try to bend it without the iPad in it, it will bend. In fact, it will bend to what looks like a 45 degree angle, especially the corners. How do you think this case will hold up and protect the iPad during a fall for which we buy cases in the first place? My guess is not very well. The shock of the fall will go right through to the iPad and damage the iPad. In terms of the function of the case, I am very disappointed. As I stated before, the case would do nothing to protect the iPad. I know that it is a folio case and folio cases generally aren’t very protective, however at least other similar cases provide some protection (in fact, I’ve come across some that can protect it very well). This case doesn’t provide no protection because it’s a folio case, it doesn’t provide protection because the material is cheap and not made well. As well as providing little protection for the iPad in places it does cover, there is too much space not being covered at all! The speaker grill is out in the open, which by the way is on the corner and corners are usually very easy to clip on something (like hitting the side accidentally on the table). Also, going along the same idea, the dock connector, while more protected than the speaker grill, is still out in the open. The dock connector is not a part you want to mess with. In addition with the same idea, whenever I close the lid, it doesn’t quite reach the other side, so the whole right side edge of the iPad is exposed a little bit. This part of the problem could be in the Form part instead of the Function part, but I decided to include it here since the function of the top part of the case is to cover the top and it doesn’t quite do that. The cover also opens with just a little shaking so it doesn’t stay closed very easily. However, despite the fact that the case doesn’t serve it’s main purpose (to protect the iPad), if one wants a case that, while provides little protection, is light and thin, this may work for you. However, there is one thing. There are other cases that can be lightweight and thin and still provide the protection you need. The Lioncase NYHK case, while delivers in providing you with a light and thin case with a good looking brand, doesn’t deliver on a case’s primary purpose, to protect your device in a fall. The case lacks good enough materials to protect the iPad from anything more than scratches and everyday wear and tear. The front part doesn’t cover the entire front and parts of the iPad are left unprotected. The cover can easily open, allowing for the battery to drain. I am not sure if I just received a sharp case, or if all of them are like that, but I won’t be using the case anymore out of fear I might give myself a “case cut”. Who knows? It might be worse than being cut by office paper. I hope that lioncase can take something from their lackluster of a case and turn it into a great case because, as it is now, that is not what it is. They told me that they are trying to open their business to overseas (which would be us). I say to them, improve your case, then expand. Of course, this isn’t their only case so they may have others that will protect the iPad better. 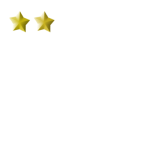 Unfortunately, this lackluster case receives 2 stars. It’s thin, lightweight profile along with the cool brand saved it from a 1 star but there are certainly other cases with the same lightweight profile that can protect it a lot better. Again, I hope lioncase can learn something from this and improve, because improvement is what this case needs.